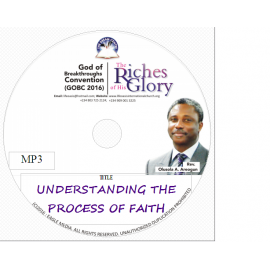 Preached on: 6th July, 2015 Message Text: Ephe.4 Message Title: Becoming Untouchable Through the Head, Joints and Bands Message Duration: 3 hours, 29 minutes, 59 seconds Programme: Go..
Preached on: 5th July, 2015 Message Text: Message Title: The Covenant of Face To Face Encounter Message Duration: 1 hour, 34 minutes, 48 seconds Programme: God of Breakthroughs Convention ..
Preached On: 14th January, 2015 Message Title: How to Mix Your Faith With The Word of God Series Title: Understanding the Life of Faith Message Position in the Series: 2nd Message Du..
Preached On: 4th July, 2016 Message Title: Prayer School 1 Message Duration: 1 hour, 31 minutes, 22 seconds Preached By: Rev. (Mrs) Oyenike Areogun Programme: God of Breakthroughs Con..
Preached on: 6th July, 2015 Message Text: Ephe 4 SeriesTitle: Becoming Untouchable Through The Head, Joints and Bands Message Duration: 1 hour, 28 minutes, 14 seconds Position: 2nd Prog..
Preached On: 4th July, 2016 Message Title: Building a House for His Glory Message Duration: 2 hours, 4 minutes, 27 seconds Preached By: Rev Olusola Areogun Programme: God of Breakthroughs ..
Preached On: 25th February, 2015 Message Title: Understanding the Life of Faith Position of the message in the series: 6th Message Duration: 2 hours, 51 minutes, 17 seconds Preached By: Re..
Preached On: 4th July, 2016 Message Title: Understanding the Process of Faith Message Duration: 1 hour, 9 minutes, 3 seconds Preached By: Rev. 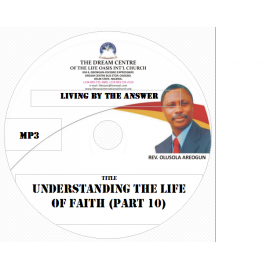 Olusola Areogun Programme: God of Breakthroug..
Preached On: 4th March, 2015 Message Title: Understanding the Life of Faith Position of the message in the Series: 7th Message Duration: 2 hours, 44 minutes, 34 seconds Preached By: Rev. 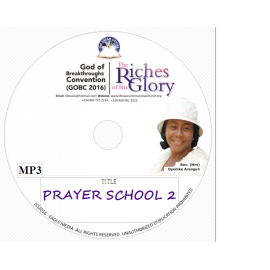 O..
Preached On: 5th July, 2016 Message Title: Prayer School 2 (Enjoying His Presence) Message Duration: 1 hour, 49 minutes, 27 seconds Preached By: Rev (Mrs) Oyenike Areogun Programme: God of..
Preached On: 18th March, 2015 Message Title: Understanding the Life of Faith Message Series Title: Understanding the Life of Faith Position of Message in the Series: 9th Message Dura..
Preached On: 25th March, 2015 Message Title: The Knowledge of the Word of God Message Series Title: Understanding the Life of Faith Position of Message in the Series: 10th Message Duration..